Wow.....last Monday was my lucky day....the reason being , I saw these big clams at the wet market selling for RM10 per kilo. Whoa , I took the last kilo...that is why I said I was lucky... LOL! I went to UTC which is just above the wet market to get my new identity card and on the way back, I passed the seafood stalls selling clams, cockles and fishes. I stopped WB and he had to break his steps :p almost made him fell down on the wet and slippery floor. Heehee but that night I made him happy with these delicious wine braised clams...added his favorite crispy garlic bits and chopped italian parsley. To give it a hot flavor and color, I added some chopped bird's eye chillies. This preparation is AWESOME ! 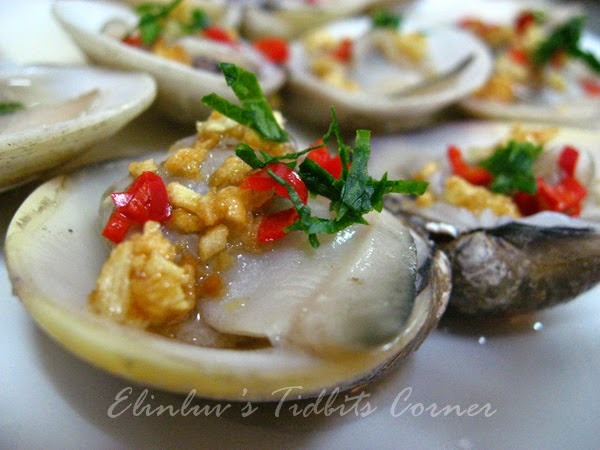 The clams were fresh and succulent and SWEET !. Easy to prepare and some yummy that I want to make it again. Heat up wok with a few tbsp of vegetable oil. When the oil is hot, add in the chopped garlic and stir fry till it is light golden color, off heat and take out the crispy garlic and leave it aside for garnishing. 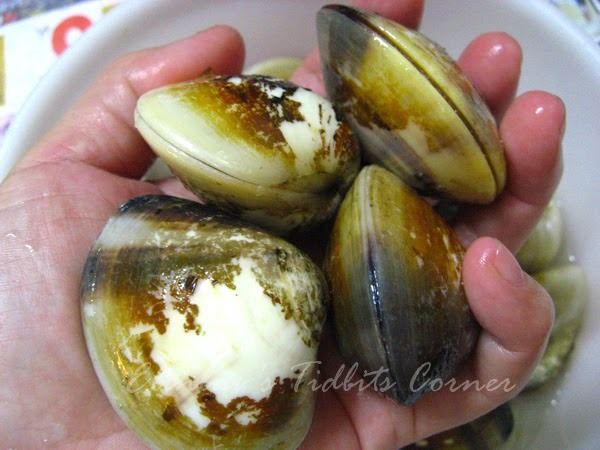 Boil 1.5 cup of water in a wide and deep pan , add in crushed lemongrass and sea salt and when it boils, add in the clams and wine, cover for a 5-6 minutes or until the clams opens up. 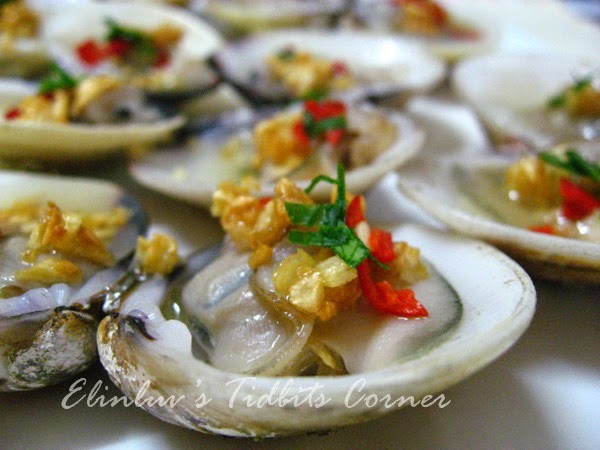 Take out and open up the shells and arrange neatly on the serving plate. 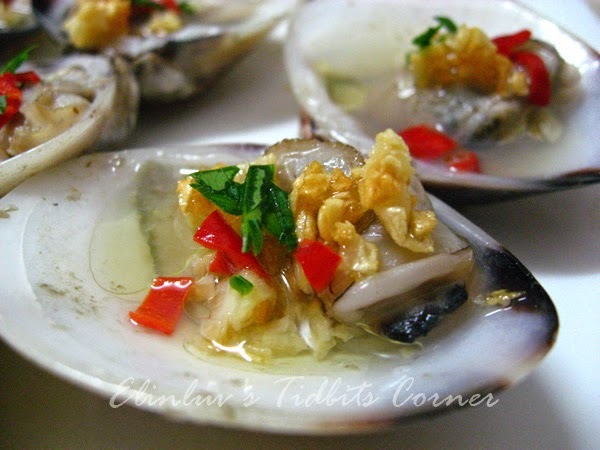 Add a spoonful of the clams broth onto each of the clam meat. Garnish with crispy garlic, sliced chillies and chopped parsley. Serve while still warm.